Kimberly K. Archer is currently serving as Associate Professor of Composition at Southern Illinois University Edwardsville. She teaches composition, music theory, analysis, counterpoint, and 20th century music. Past appointments include Bowling Green State University and Western Carolina University. She holds a Bachelor of Music Education from The Florida State University, a Master of Music in Composition from Syracuse University, and a Doctor of Musical Arts in Composition from The University of Texas at Austin. Her teachers include David Maslanka, David Gillingham, Andrew Waggoner, Donald Grantham, and Charlie Carter. Dr. Archer’s music has been performed throughout the United States, including the 2013 National Flute Association Convention in New Orleans, the Southeast and Southwest regional conventions of CBDNA, and conventions of the Nebraska State Band Association, Oklahoma Music Educators Association, and the National Band Association-Wisconsin. Her music has also been performed at the 2011 WASBE International Convention in Chiayi City, Taiwan and the Midwest International Band and Orchestra Clinic in Chicago. 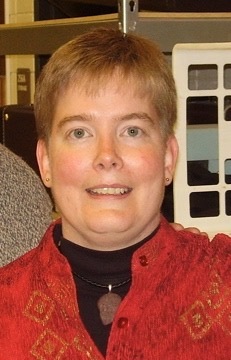 She has received commissions from such organizations as The United States Air Force Band of Mid-America, Kappa Kappa Psi & Tau Beta Sigma, The International Center for New Music at Central Michigan University, and the International Women’s Brass Conference, as well as by consortiums of university and high school ensembles around the country. Dr. Archer is a contributor for Composers on Composing for Band, Volume 4. All of Dr. Archer’s published music is available from C. Alan Publications in Greensboro, NC. Her Symphony no. 3 (Troy 1152) is recorded on Albany Records. Her Concerto for Piano and Wind Ensemble (8984-MCD), Symphony no. 2 (6669-MCD) and for those taken too soon …. Symphony no. 1 (7643-MCD) are recorded by Mark Custom Recording.